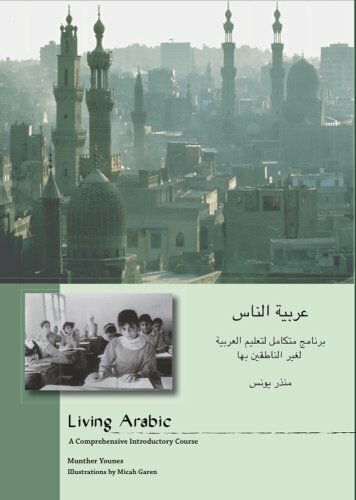 LIVING ARABIC is a comprehensive introductory Arabic textbook that integrates an Arabic colloquial dialect with Modern Standard Arabic (MSA) in a way that reflects the use of the language by native speakers. Arabs communicate in the colloquial in everyday situations, and use MSA for reading, writing, and formal speaking. The colloquial variety used is Levantine Arabic, which is the Arabic spoken in Syria, Lebanon, Israel/Palestine, and Jordan. It is one of the major Arabic dialect groups that most speakers of other Arabic dialects are familiar with through contact with its speakers and through radio and TV programs. The Arabic colloquial dialects share most of their vocabulary and grammatical structures with one another and with MSA. This textbook builds on these shared features and avoids regionalisms and localized expressions whenever possible in favor of the more common and standard spoken forms. Using maps, illustrations and photographs, humorous stories and dialogues, and other culturally rich materials, the book carefully and systematically helps the learner build the four language skills of listening, speaking, reading and writing, while introducing him or her to Arab culture and the history and geography of the modern Arab world. The first ten lessons of the book introduce the Arabic writing and number systems together with a working vocabulary of about 150 basic words. Each of the remaining 45 lessons consists of a listening selection, a reading passage and a dialogue, which are accompanied by a variety of activities and exercises aimed at maximizing the acquisition and retention of vocabulary and grammatical structures. Vocabulary-building activities include word-matching, crossword puzzles, Jeopardy-type games, and songs. The "filesonic - part 1" downloads fine but all the others book+audio part2 and the 10 DVD files don't! Can you check it, please ? All files downloaded and working.